This picture shows truly magic textile accessory which is memorable with its elegance, grace and beauty. 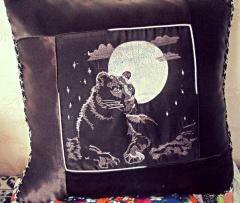 It is embellished by Dreamcatcher machine embroidery design which looks even more expressive on the smooth black background of the pillow. Each element of this embroidery sample including feathers, rings and other details is executed in its special manner. So together they creates the incomparable combination where all the elements perfectly combines with each other as mosaic. 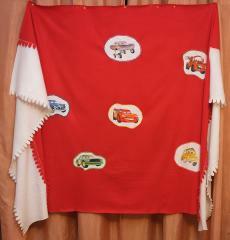 This is original work piece which is able to embellish any bedroom. It is executed from beautiful atlas fabric of natural color with delicate shine. 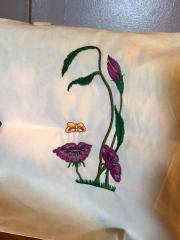 Its calm shade is best background for chosen embroidery sample. It is . This picture has double sense. From one hand it is scene from forest life. From other hand flowers shown on this picture create beautiful face of young lady. There is the textile set designed especially for little girl in her beloved pink color. It is garnished with the funny picture of little fairy executed in cartoon manner. Sweet fairy machine embroidery design is the image of little girl in pink dress with the big flower in her hair. 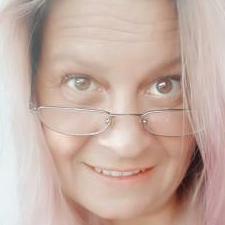 She is looking right and you with her big eyes. It seems she is offering to play a bit in catch-up or hide and seek. 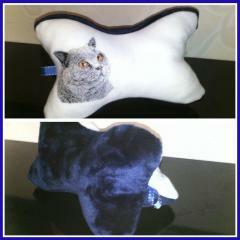 This is cool little cushion which is both stylish accessory for your interior and useful thing for good sleeping. 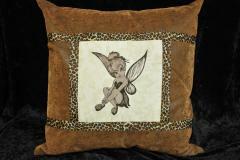 It is bade from soft and pleasant material and decorated by figure of creature from well known cartoon. 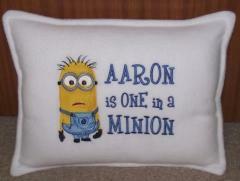 Minion embroidery design is one of characters from our series which includes some funny heroes. 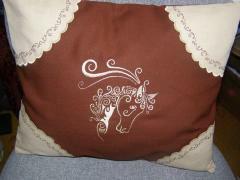 You also may use it for decoration of other types of interior accessories or clothing. 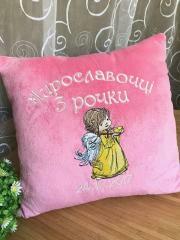 This is nice souvenir pillow prepared as gift for young parents for their baby’s birthday. 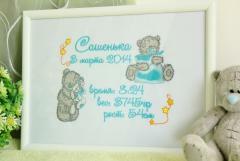 It is decorated with name of little boy and all important information about his birth such as his weight, height and other. 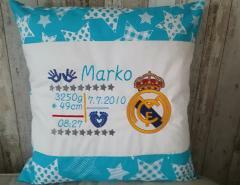 Furthermore surface of this work piece is decorated with print of baby’s hand and Real Madrid logo machine embroidery design. Together they create very cool souvenir. This is set of two embroidered picture which are true pleasure for eyes. Each of them is executed on base of same design idea: it includes light background, frame of bright printed fabric and embroidery sample used as center of composition. In both cases it is beautiful Spring in my heart embroidery design. But look how different they look!